Horse racing will be included in the special circus programme jointly held by the Vietnam Circus Federation and the Happy Dream Circus Japan. 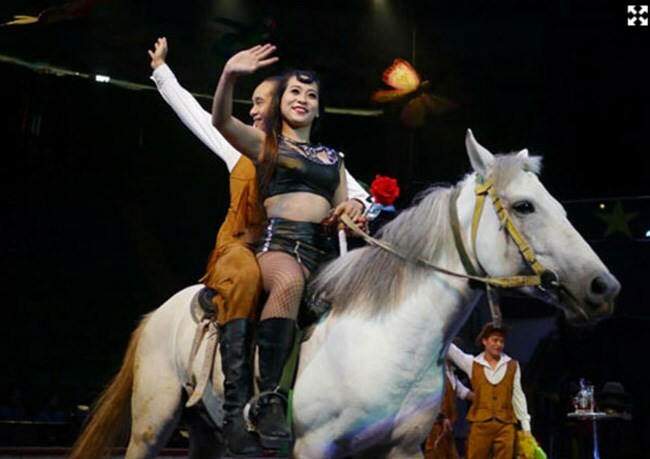 Hanoi (VNA) – Vietnamese audiences will be dazzled with a special circus programme jointly held by the Vietnam Circus Federation (VCF) and the Happy Dream Circus Japan from September 1. The programme, organised to mark 45th anniversary of Vietnam-Japan diplomatic ties (1973-2018) and celebrate Vietnam’s National Day (September 2), will be in Hanoi until December 1 and then travel to several other cities and provinces from December 2 to April 1, 2018. At a press meeting on August 25, VCF Director Ta Duy Anh said that the programme will enhance mutual cultural understanding between Vietnam and Japan.